Mix all the ingredients well in a bowl and gently apply it on your hair with brush. If applied overnight, it is the best remedy for those with dry hair. Wash off with cold water and mild shampoo. 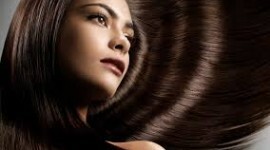 Use it thrice a week and if your hair is badly damaged a daily use for 8 to 10 days improves your hair condition. You can continue using it twice or thrice a week until you get the required results.